Todays Friday Mashup challenge is the first ever Fan Favorite! 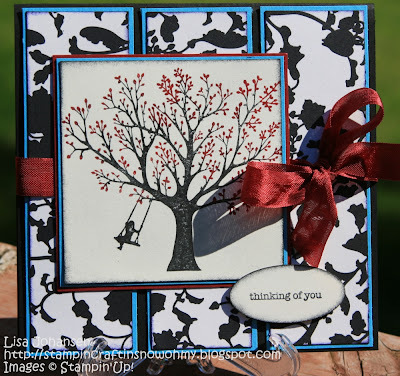 Friday Mashup fans submitted their own ideas for a mashup challenge, the entries were narrowed down and the voters chose Teresa Klines challenge as the winner. Congratulations Teresa! I hope everyone will head over to the Friday Mashup blog to play along with us this week! 1. Create a "handmade flower or flowers" on your project. 2. Create a project using "turquoise, red, and black". 3. Or "Mash it Up!" 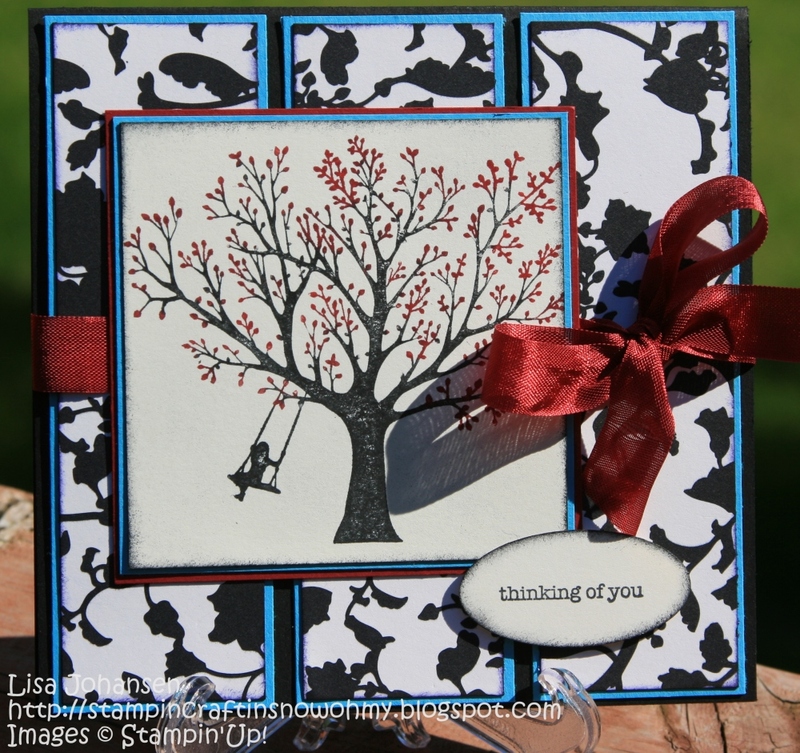 and create "handmade flowers" on your project that uses "turquoise, red, and black"! Now, I feel bad but for the first time since we started the Friday Mashup blog I didnt mashup the challenge. I just cant get into the whole flower craze and trying to make handmade flower(s) just totally surpassed my patience level this week, so I chose to just stick with the great colors that Teresa chose. I never would have thought to use the Tempting Turquoise but it certainly is a nice touch against the black and red! It came out great... No handmade flowers? Just kidding, this set with that DSP just goes well together. It's like they were meant to be. This looks fantastic!!! I have that stamp and dsp on my wish list...now you have convinced me to get it SOON!! Lisa, LOVE your card! That's such a great image and I really like how you colored in the leaves. Great design, too! Nice surprise today, and paying it forward! Friday Mashup 15--Sketch and Colors!